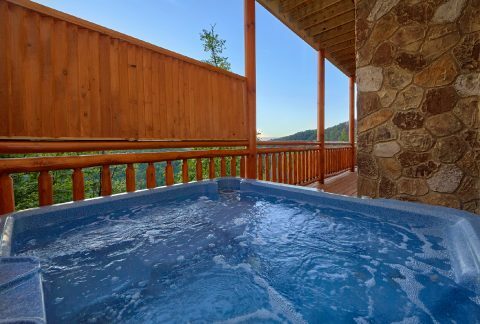 In the popular Black Bear Ridge Resort area, you can enjoy "Swimmin' in the Smokies!" 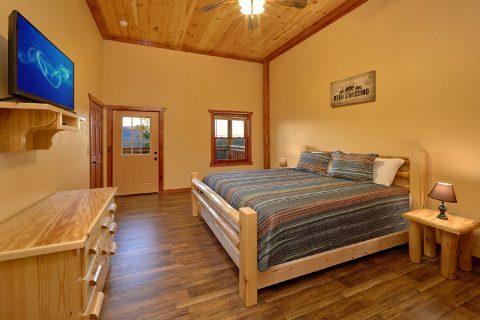 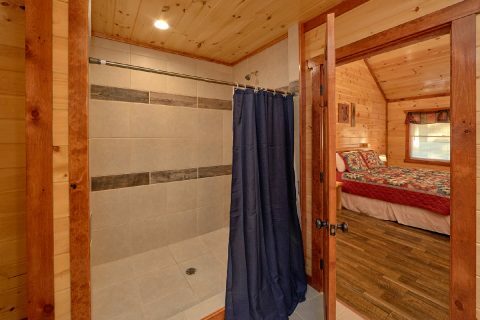 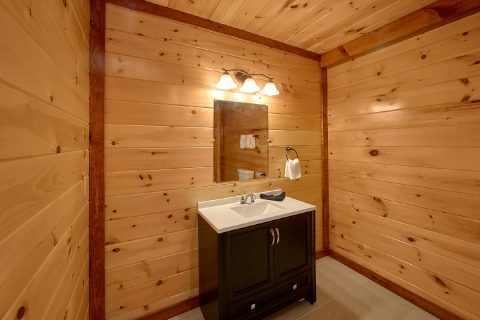 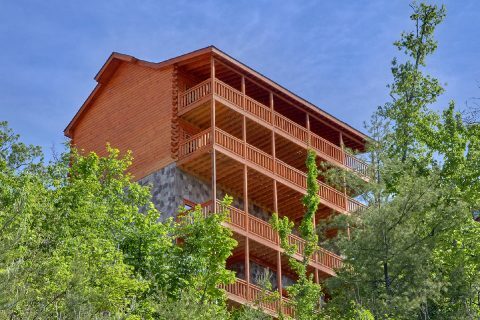 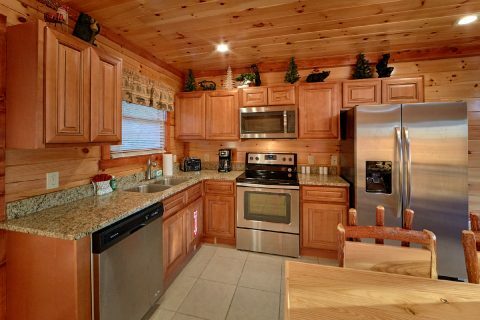 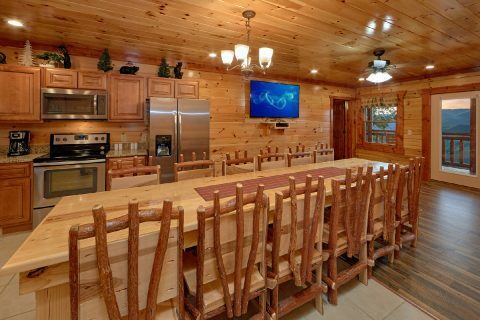 With 6 bedrooms and a prime location less than 5 miles from Downtown Pigeon Forge, this luxurious log cabin is your ticket to an unforgettable vacation in the Smokies. 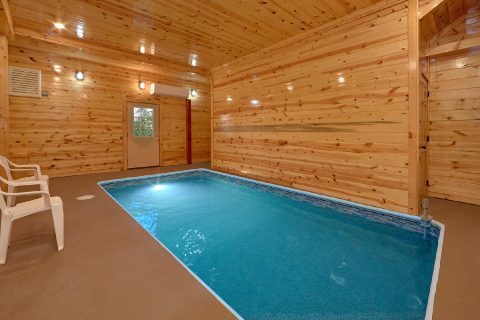 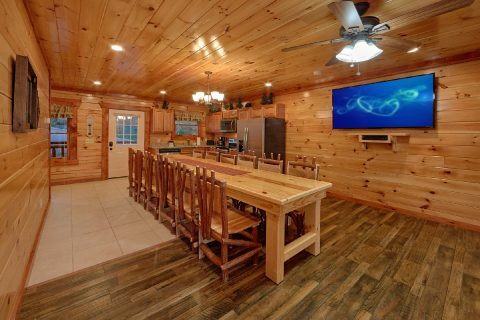 From this cabin's private indoor swimming pool to its beautiful resort location, this premium log cabin is designed to impress. 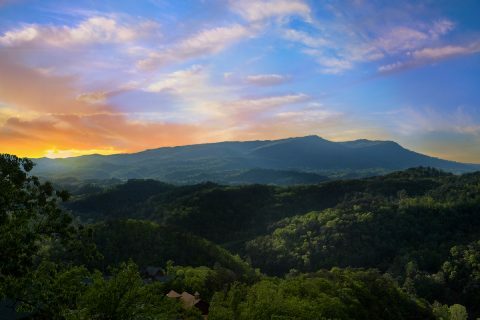 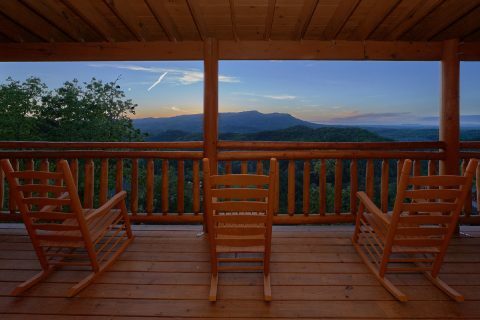 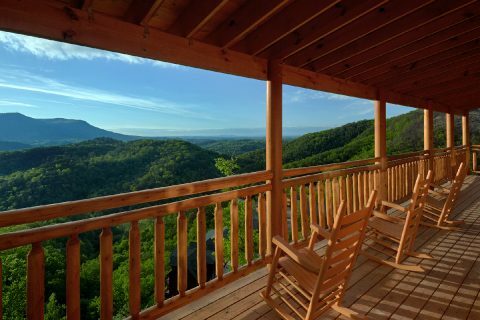 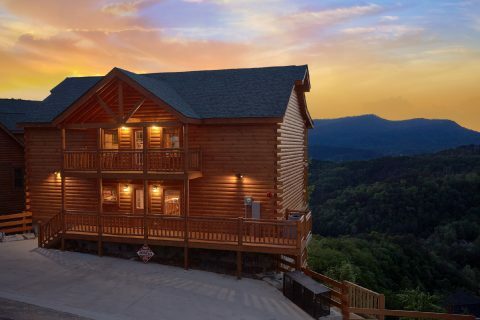 Better yet, this 5-star cabin keeps guests close to the biggest and best sights in the Smokies. 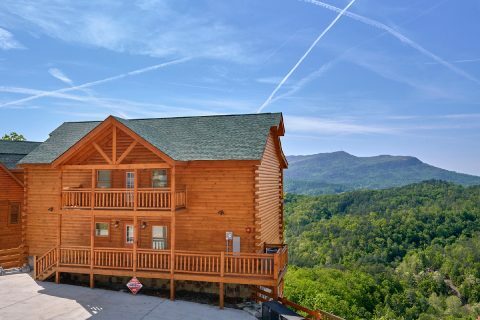 By booking this rental, you can stay a short drive away from the action-packed Pigeon Forge Parkway. 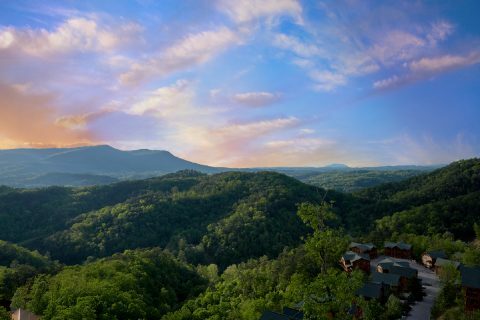 This exciting part of town is home to dinner shows, go-kart tracks, interactive museums, and more. From here, guests can also access nearby highlights like Dollywood, Downtown Gatlinburg, and the Great Smoky Mountains National Park. 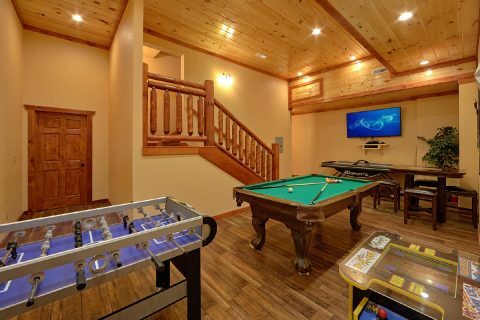 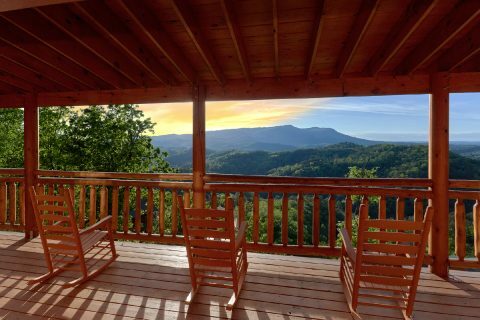 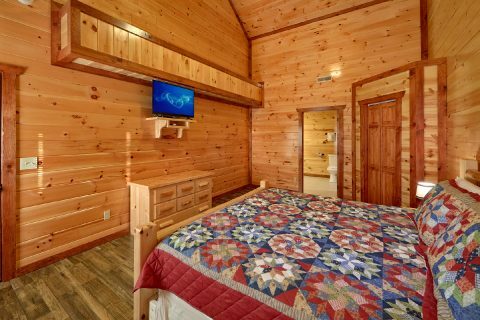 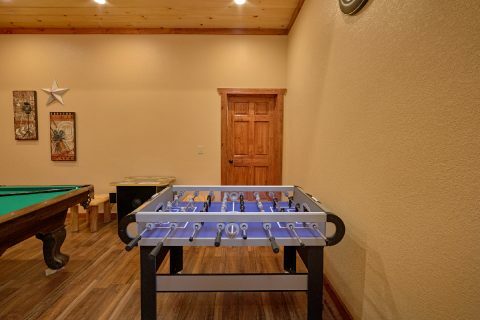 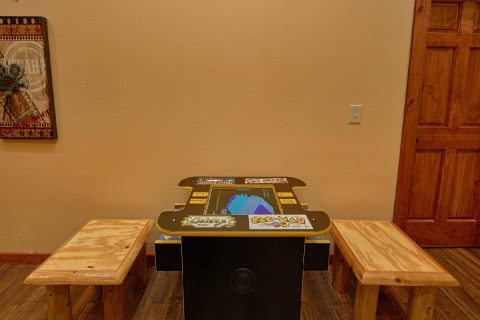 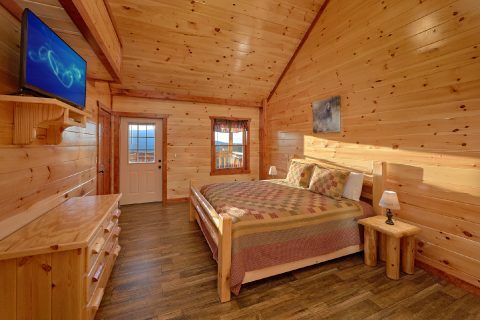 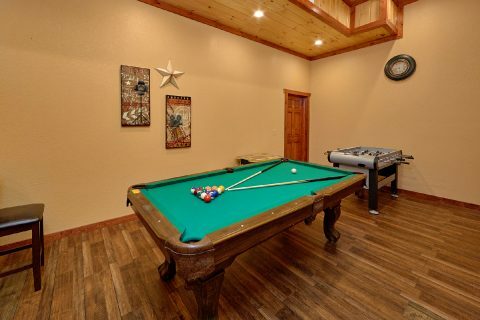 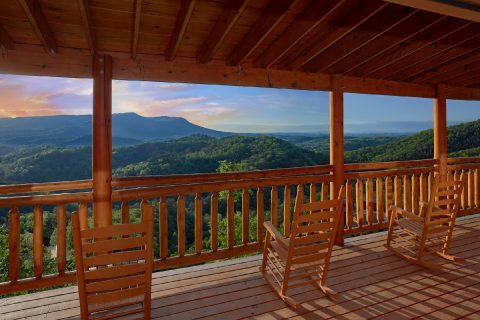 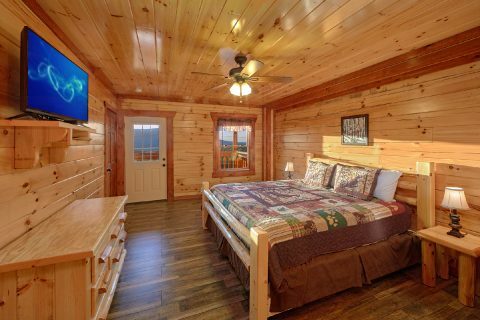 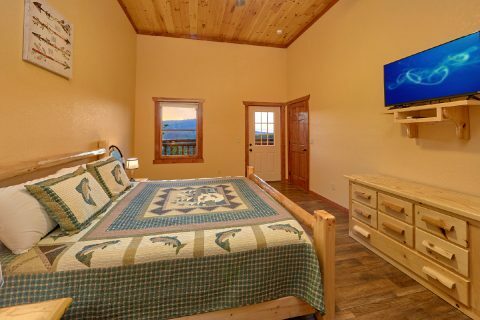 When you aren't busy exploring the top sights in the Smokies, you'll love unwinding at this log cabin that comes complete with a hot tub, private indoor pool, and a game room complete with a mounted, flat-screen TV, foosball, and a pool table. 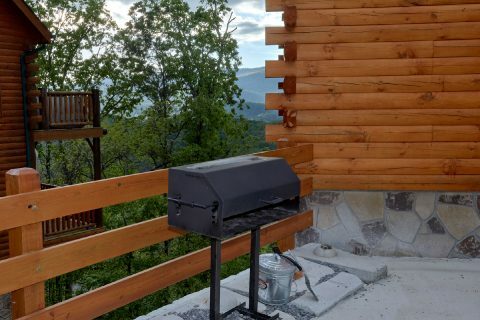 Additionally, this cabin provides practical amenities for guests to use like WiFi Internet, a charcoal grill, and a full kitchen. 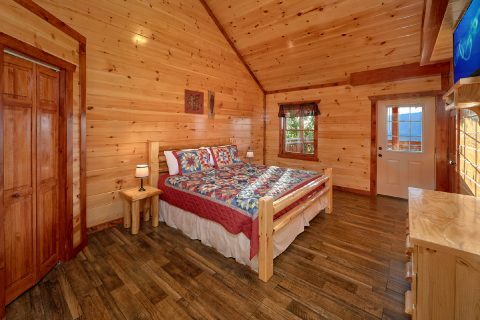 With 6 king-size bedrooms, this spacious cabin accommodates up to 12 guests with ease. 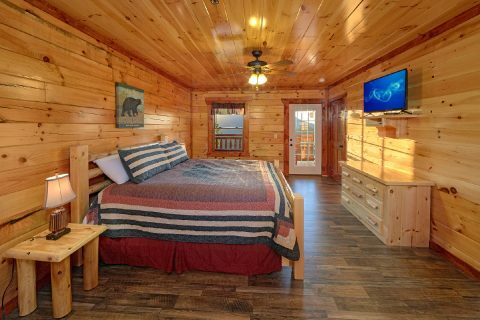 Booacek "Swimmin' in the Smokies" online today with Cabins USA to earn a 15% discount on your luxury cabin in the Great Smoky Mountains of Tennessee!